Glucosamine hydrochloride 500 mg, sodium chondroitin sulfate 400 mg. Capsules №30, №60 in container. 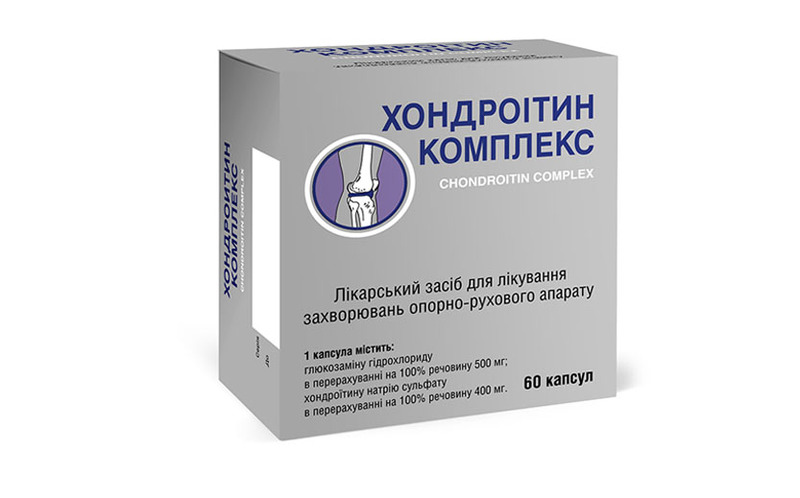 Degenerative-dystrophic diseases of the joints and spine: osteoarthritis, shoulder-palpation periarthritis, osteochondrosis of the spine, fractures (to accelerate the formation of bone callus). 1 capsule 3 times a day for the first 3 weeks, then 2 months for 1 capsule 2 times a day.